Showing sporting gesture to mediapersons, Bhubaneswar-based premier cricket club, Sahid Sporting has set up a permanent press box at its home ground in Sahid Nagar. Named after its member and the first international cricketer of the state, Debasis Mohanty, the press box was inaugurated today. Hockey Olympian and former Rajya Sabha Member Dilip Tirkey graced occasion as chief guest. He has contributed Rs 4 lakh from his Local Area Development Fund for the construction of the Debasis Mohanty Press Box. Set up on the first floor of the storage room, the press box is sure to multiply the facilities and reputation of the small but beautiful ground. Bhubaneswar Central MLA Bijay Kumar Mohanty attended the inauguration function as uest. Also present on the occation were Debasis Mohanty, former Odisha batting mainstay Rashmi Ranjan Parida, allrounder P Jayachandra and Sahid Sporting Club secretary Pankaj Patnaik. 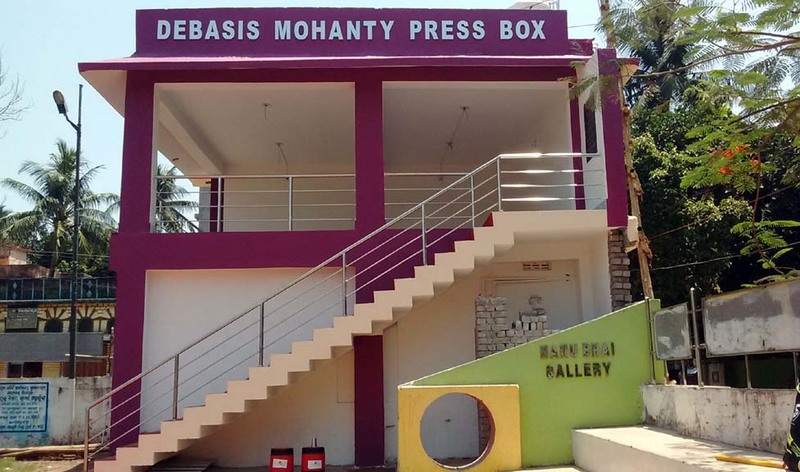 PHOTO: A view of the Debasis Mohanty Press Box located at Sahid Sporting ground in Bhubaneswar.